Home » about » About S.A.R.A. Please download S.A.R.A. from the App or to ITunes store in our Download S.A.R.A. section. The App produces the video and the sound based on the camera input and the movement of the dancers. It investigates the use of wearable computing technology during performance as well as loosely bases it’s technological approach on ludological and synesthetic experiences to let the user explore it’s surrounding environments sonically. The role of performer is also augmented as they are now gatekeepers of what sounds are made as well as what images are projected by deciding what live imagery and angles look most appealing to rebroadcast. Performers can choose to project images on themselves, their co-performers or onto the architectural structures of the venue. This format allows for a completely new interaction with wearable technology – augmenting and mediating their performance via several technological input and output mechanisms while still maintaining choreography as well as allowing for subjective choices during the performance. The Human Computer Interaction between the dancers and the technology as extension of their bodies creates an altered/mediated/mitigated performance environment that is always unique to the specific performance venue. Press Ready images:Click here to download print quality images. Margarita Benitez and Markus Vogl artist collaborative is named //benitez_vogl and develops work within a hybrid art praxis. They question contemporary issues concerning technology, such as exploring the mediation of information in our lives. Their works integrate installations, high tech/low tech materials from fiber, sound and art + technology practices. They have been collaborating since 2000 on interactive installations and sound works. Margarita Benitez’ interdisciplinary background mixes art and technology, interface design, tangible computing, 3D, architecture and fiber/material studies. She received her MFA in Art + Technology Studies thru a Trustee Scholarship from the School of the Art Institute of Chicago. In addition to working with fashion technology and e-textiles, her current research explores the concept of pret-a-faire (ready-to-make) thru generative fashion applications and she is currently developing OSLOOM, an open source thread-controlled loom (funded thru Kickstarter and a Farris Family Fellowship Award.) Her work has been exhibited nationally, internationally and is part of museum and private collections. Most recently she presented her work at COLLIDER 4 :: SPECTACLE, at the BIFT/ITAA Symposium at Beijing, the New Media Art Caucus Artist showcase at the 100th Annual College Art Association Conference and at the 2012 Smart Fabrics Conference. She will be the Fulbright-Quartier21/MuseumsQuartier Artist-in-Residence for 2012-2013 for the project open thread : wien. 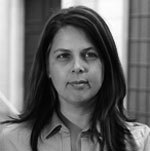 She received a 2012 NEA Artworks Grant for co-curating the exhibition Shifting Paradigms of Identity: Creative Technology and Fashion and a 2012 NEA Media in Arts Grant for S.A.R.A. : Synesthetic Augmented Reality Application, a wearable synesthetic performance device. She is the Fulbright museumsquartier artist in residence 2013. She is currently the Fashion Technologist and an Assistant Professor in Fashion Design at The Fashion School at Kent State University. Markus Vogl originally from Salzburg, Austria is now a NE Ohio based multimedia artist experimenting in multiple sensory experiences combining sound, environments and interactive installation. He has exhibited internationally in the U.S. and Europe and has been recognized in Leonardo magazine for his collaboration Circadian Capital. In his role as designer for his former Miami, FL business pixel foundry he has worked with clients like mun2 and mtv latino. He holds a Masters of Fine Art degree in New Media from Donau Universitaet Krems/transart institue. His work has been exhibited on 3 continents He has received the 2012 NEA Media in Arts Grant for S.A.R.A. : Synesthetic Augmented Reality Application, a wearable synesthetic performance device. S.A.R.A. 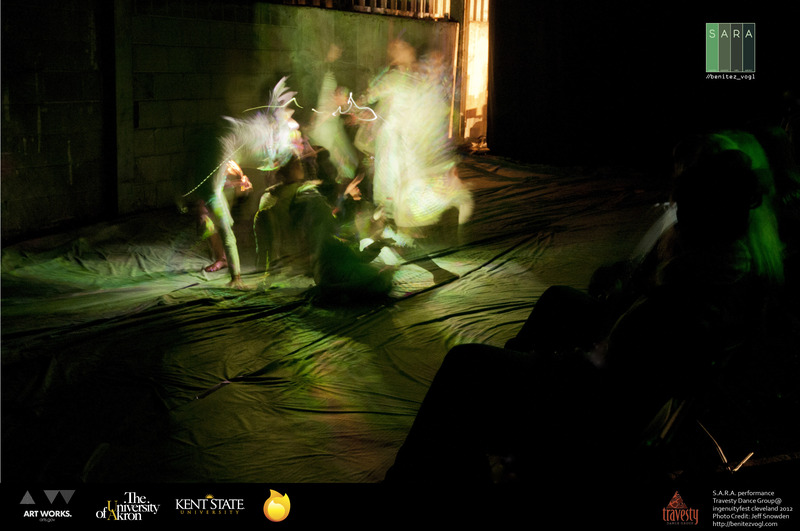 has been shown at ingenuityfest, Collider and the Cleveland Public Theater. He has presented papers at South by SouthWest, Digital Fashion, London and the BIFT/ITAA research Symposium at Beijing. He currently is an Assistant Professor at the Myers School of Art at the University of Akron.